We’re calling week #1 of summer vacation a success over here and already looking forward to the weekend! I captured our easy morning and evening summer routines if you missed it, and the 10-Minute pick-up at the end of the day seems to be the best thing ever, even though it’s such a quick, simple thing. Since our weather looks clear and sunny today, you’ll find me and James at the pool. Now, it’s starting to feel like summer!! What are y’all up to this weekend? 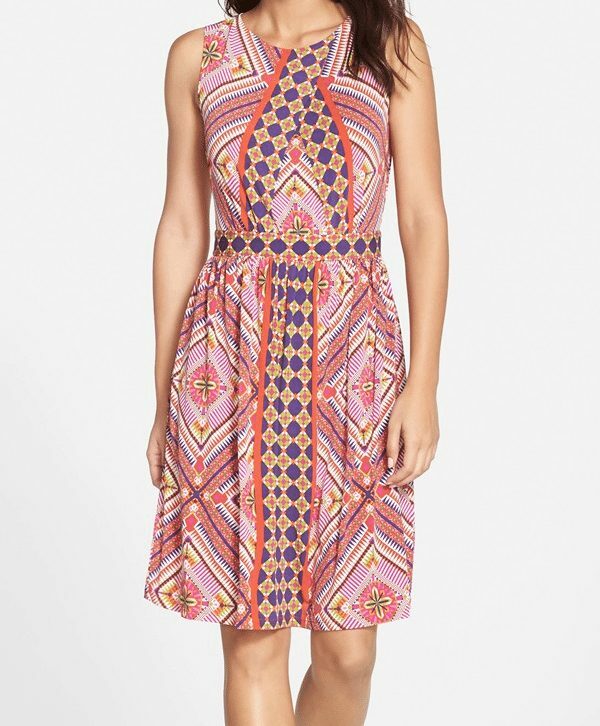 I’m still loving dresses for summer and just ordered the second one below! 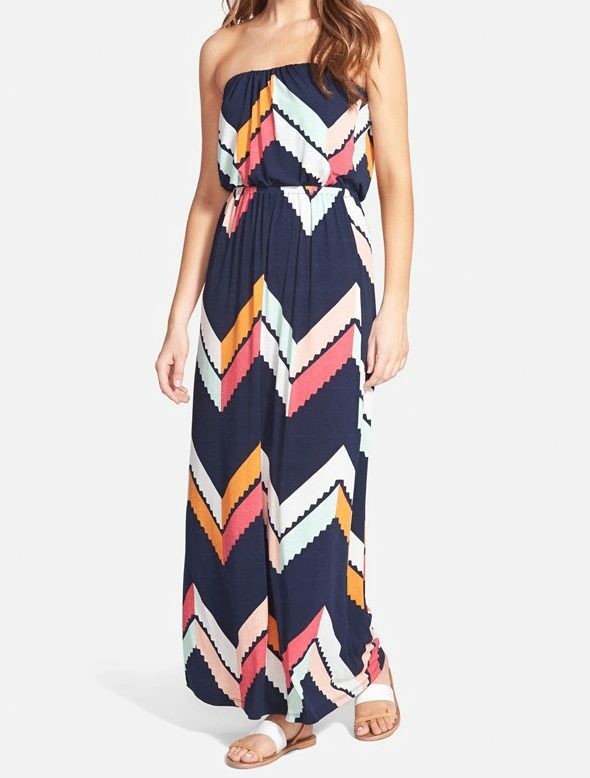 How cute is this chevron maxi?! Perfect color combo too! 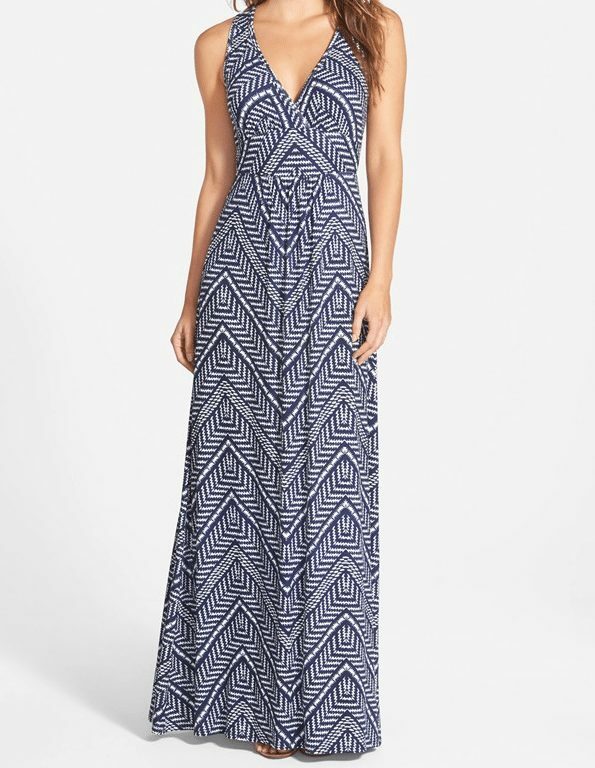 Nordstrom had tons of maxi dresses under $50 – great price! Can’t wait for this beauty to arrive! Isn’t this a sweet dress?! Just wear a bandeaux bra with it and you’re good to go! I’m crazy over the colors in this dress. Maggy London is a favorite brand, their clothing is quality and chic. You could keep this dress neutral or liven it up with colorful accessories. Bow down to the wrap dress! Pretty much universally flattering and comfortable. I don’t know about you, but I love a romper in the summer. I don’t shop Forever21 too often because I always think their things are for teenagers, but then I realized I often shop the juniors section at Nordstrom with success, so I should give it a try. They do have some really cute stuff there and you can’t beat the prices for things you may only want to wear for a couple seasons. I was happily surprised with some of my F21 things I ordered online. I think maybe shopping in the store is what I don’t like. I know I’m old(er), but it seems like it’s really loud and overwhelming in there. But, I found their site easy to shop because it loads fast and they have good pictures with lots of images. The selection is better online too. I already wore one of the rompers that arrived. It’s under $20! My F21 romper reminded me of this one I saw at Nordstrom. I really wanted to love this 3/4 sleeve crochet-paneled gauze romper, but it didn’t work out for me. Maybe if you’re not so short like me, it would be cuter! I liked the top part, just not the shorts. I was actually pretty smitten with F21’s selection of embroidered tops. I’ll have to show you a few keepers that I haven’t photographed soon! I found that my regular size XS fit best, the Smalls were too big. I’m 5’0, about 107 pounds. Here’s a F21 top I’m loving with the embroidered detail. The arm holes are a little large, so be sure to wear a bra you don’t mind showing. There are lots of sweet bra-peeking-through options now! 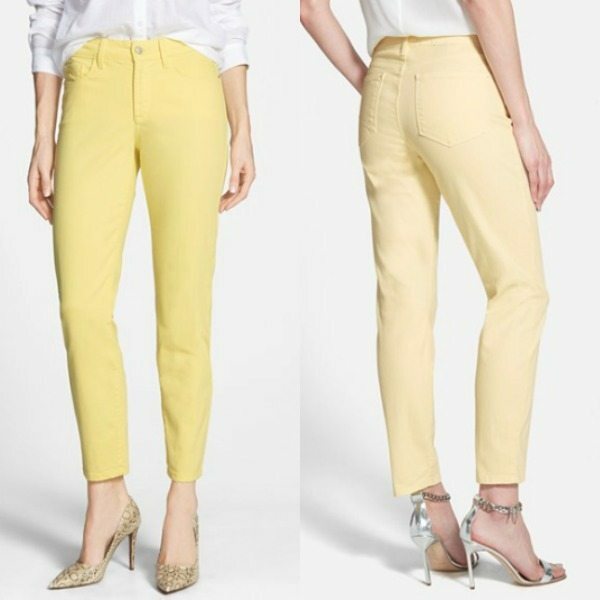 These NYDJ skinny ankle jeans come in so many fun colors and are 33% off! I have them and they are little more high-wasted than most jeans these days. I can appreciate that and actually love how they fit and feel, but you may hate it. Just be forewarned. Maybe order them in your regular size and one size down, and take advantage of free returns if they don’t work out. I’m showing them with a crop top here so you can see the where the waist sits better. See how they actually come up over your rear in the back?! Nice! I feel like I should buy a few new colors! But, which ones?!?! 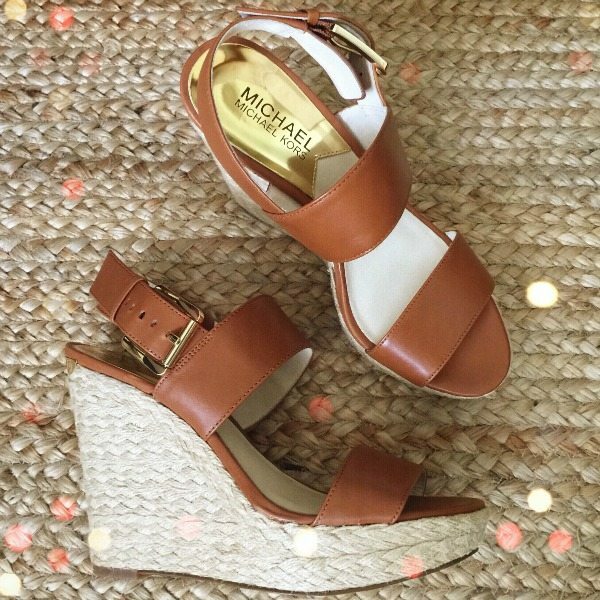 My Michael Kors wedges arrived and they are perfection! For more fashion posts, see last week’s Weekend Steals & Deals – Summer Brights Edition & my HWH Everyday Favorites for Spring/Summer! 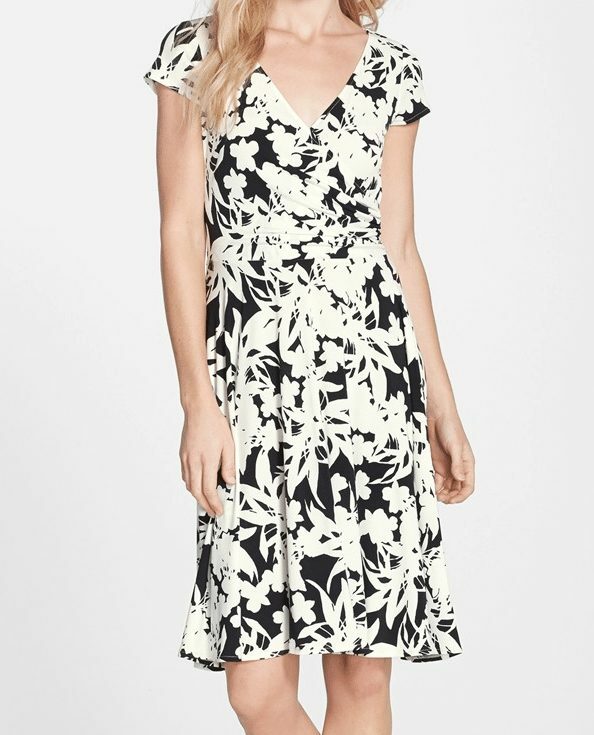 ANN TAYLOR: 30% off SUMMER FAVORITES (full price styles). ANTHROPOLOGIE: 20% off full-price tops and shorts. BAUBLE BAR: Styles starting at just $10. See all sale items here. BARRINGTON GIFTS: FATHER’S DAY SALE – 10% off sitewide with code DADSDAY. (Last day to order with guaranteed delivery for Father’s Day is June 10; however, small leather goods should arrive in time if ordered later- it’s custom printed fabric that takes longer). CHIC WISH: Sign-up or login for discount, up to 30% off. Discount applied for orders over $60, exclusions apply. GAP: HAPPY CAMPERS EVENT. Up to 40% off EVERYTHING KIDS & BABY. & 30% off Regular Price Women’s and Men’s Styles. Use code GOOD. GIGI NY: 10% off with email sign-up. Gotta see the gorgeous Fold-Over Clutch by With Love From Kat! JOE FRESH: Great deals in their Sun Shop & get 20% off when you sign up for their newsletter. 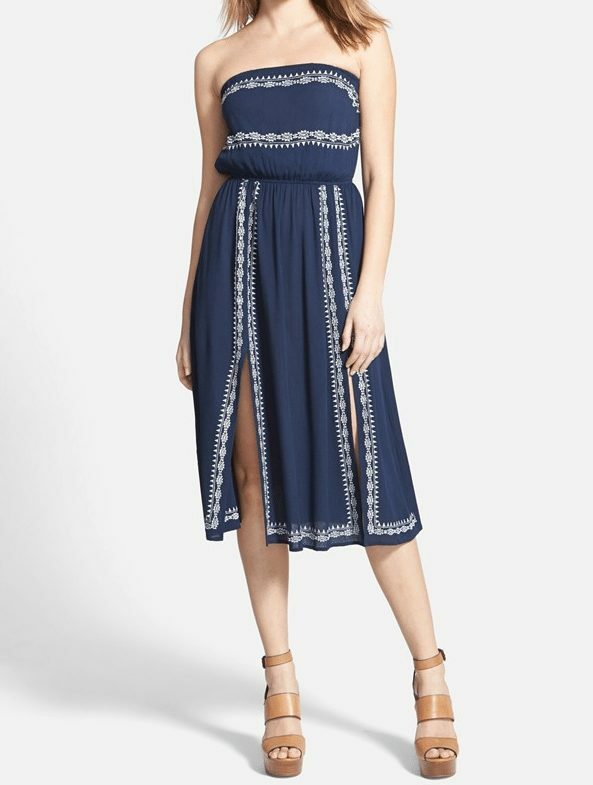 OLD NAVY: ALL SKIRTS AND DRESSES, MEN’S AND KIDS on sale up to 40% off. All of these outfits are so gorgeous, would love to own them for the summertime! Always buy NYDJ a size down for best fit. They stretch, ALOT, when wearing. At first they may seem "too" tight, but trust me, after a few minutes of wear they are perfect. Love all their new colors. Super cute rompers too. Don't usually work for me as I am long waisted, but they are fun. Please tell me where you got the gold ring you're wearing. I love it! I noticed the blue romper has an open back. Did you try it with any pretty bralettes? I love it, but I'm concerned about the bra situation. I love all those gorgeous weekend steals. My favourites are: Trixxi Chevron Print Maxi, F21 Floral embroidery top and the Michael Kors Wedges. I am in Australia and we are heading into the cold winter, this post has me craving Summer time!